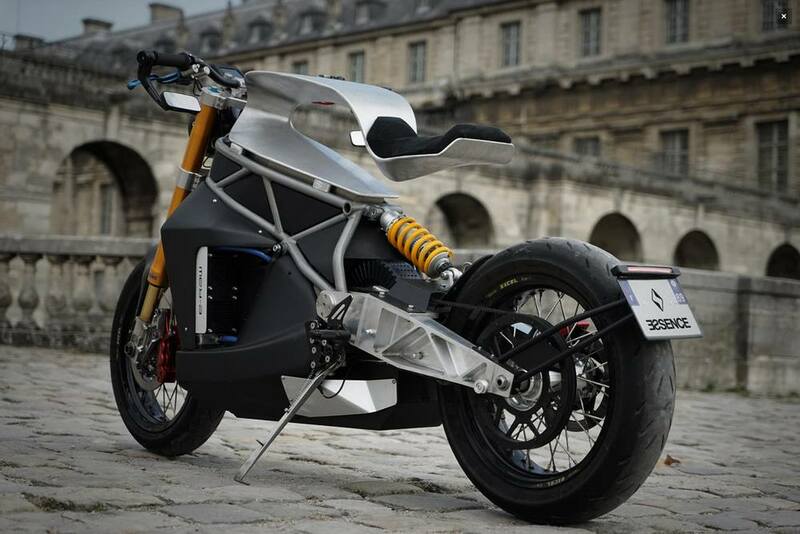 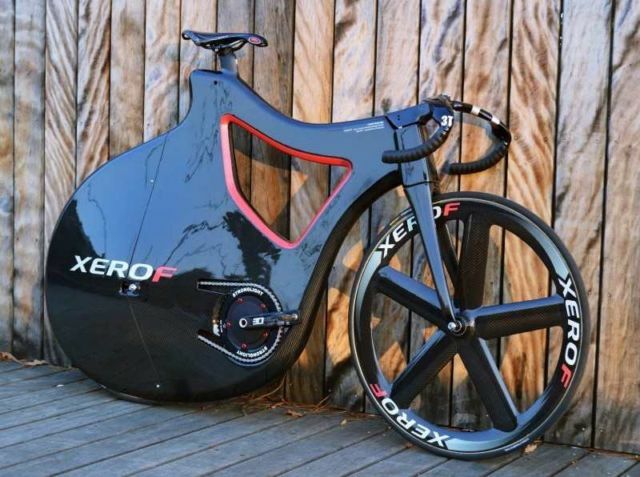 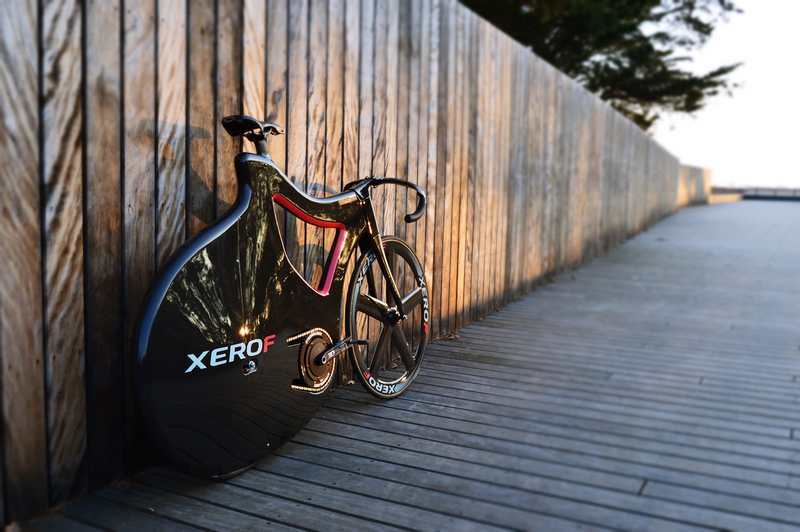 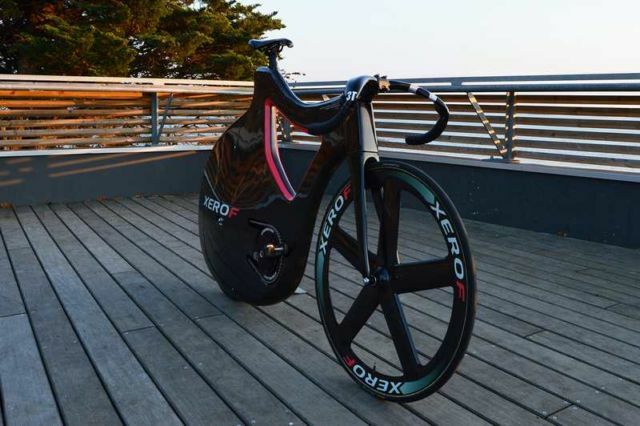 The stylish Pluma Track Bike Prototype, made by carbon fiber, designed to minimizing drag. 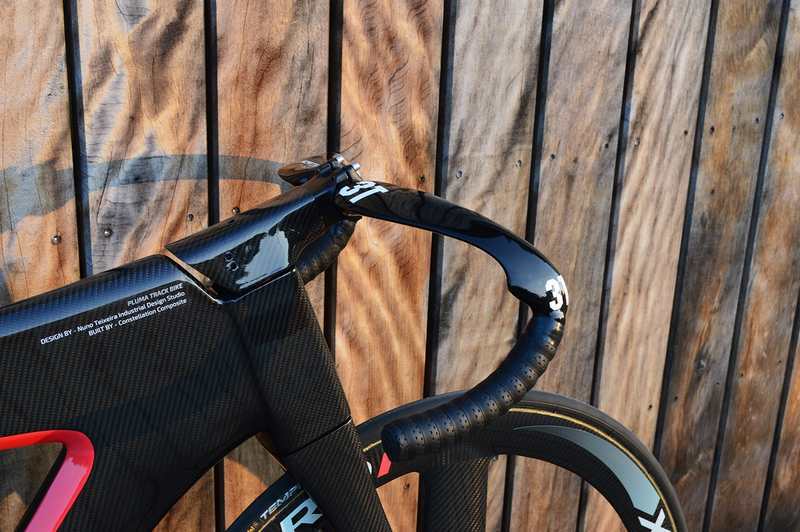 Frame: Carbon sandwich/ PVC foam core AIREX R63.80. Drive train: One gear for the track 51 x 15. 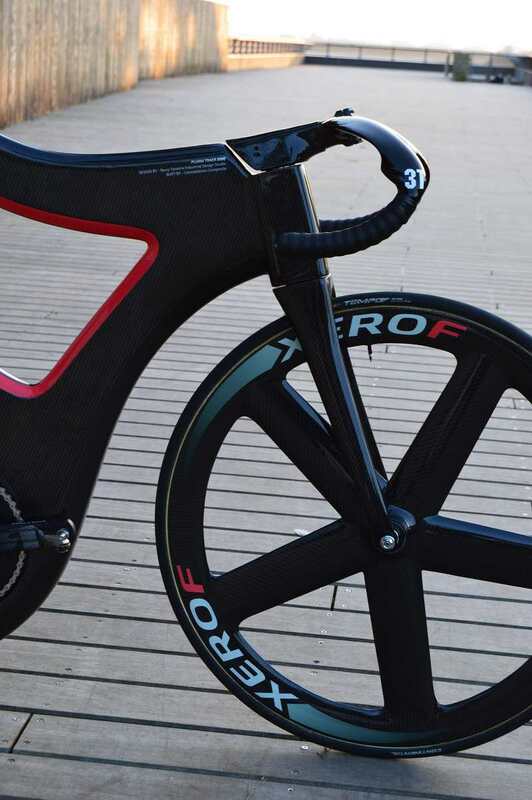 Front wheel: PRO 5 Spoke Carbon Track.